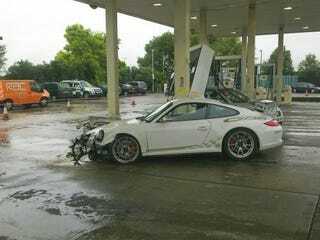 Crashing a Porsche 911 GT3 RS is very bad. Crashing one into a fuel pump and not having the whole thing blow up is very bad and very lucky. Unless it was a BP protest. Then, it failed miserably.